3.How to confirm the quality before starting bulk production . Customer can make full test with quality sample which we provide. After confirm the quality then we start bulk production. .
Give an example here: By years, we have co-operated with the franchised stores in Europe and offered them hundreds of designs each season for their selection and booking. Finally, if you are interested in our products or you have your own designs to develop, please don't hesitate to visit our website or contact us free. We are sure that our high quality products and good service will satisfy YOU and make the business more smoothly and on. Art No. 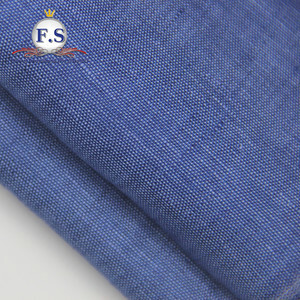 :LFA1011029 Vintage delave linen fabric Use:linen fabric for shirt,jacket Design:vintage delave linen color Width:55/56" Construction:14*14 Detailed Images Quality control Quality is priority,All raw material we used are from certificated mills and will be checked &tested carefully before bulk production Skillful workers care every process during production from dyeing,warping,weaving,finishing,inspecting,packing etc. 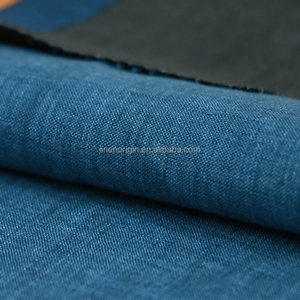 Inspect report and test report can be provided Factory Strength Factory was founded in 1996 Excellent experience for weaving All kinds of good qualities and designs Company Fair We will show our newest samples and designs to our customers every year In Fair. Design development We will make handlooms and labdips as your designs or colors ,or we can suggest some our newest designs to you as your use. What is our advantage9 Answer: 1. An expert Quality Control group, which means you can be assured in our Products. 2. Professional sales team, you can contact with us in English frequently. 3. 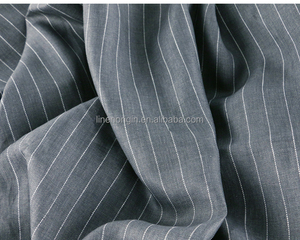 More than 10 years concentration on flocking fabric assure you that every detail is well finished. 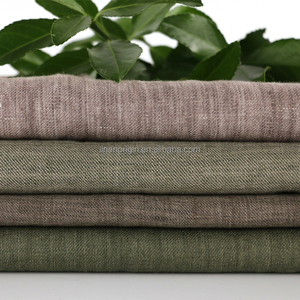 Shaoxing City Hahoo Textile Co., Ltd.
Shaoxing Keqiao Jiusheng Import & Export Co., Ltd.
Shaoxing Baocai Digital Print Textile Co., Ltd.
Shaoxing Naduo Textile Co., Ltd.
Shenzhen City Jia Yu Long Commercial Operation Co., Ltd.
Alibaba.com offers 94 vintage delave linen fabric wholesale products. About 15% of these are 100% linen fabric. 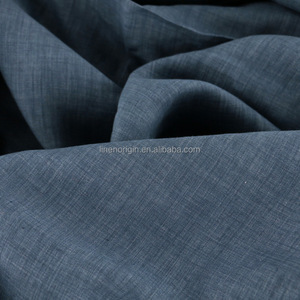 A wide variety of vintage delave linen fabric wholesale options are available to you, such as dress, garment, and home textile. 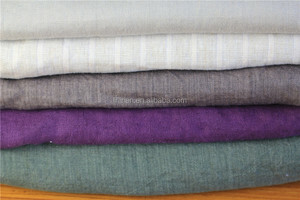 You can also choose from plain, twill, and plaid. As well as from yarn dyed, plain dyed. 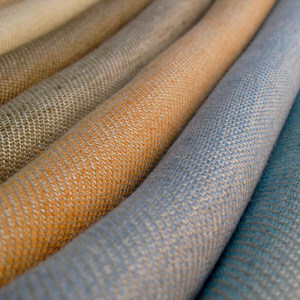 And whether vintage delave linen fabric wholesale is intertek eco-certification, or oeko-tex standard 100. 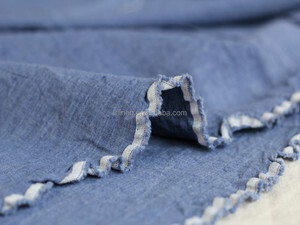 There are 15 vintage delave linen fabric wholesale suppliers, mainly located in Asia. 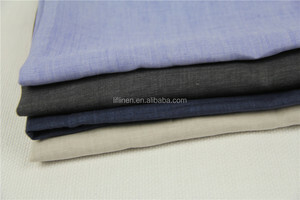 The top supplying country is China (Mainland), which supply 100% of vintage delave linen fabric wholesale respectively. 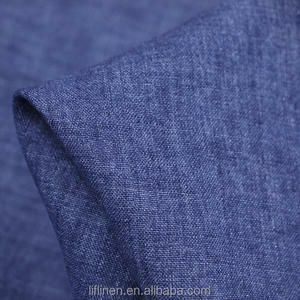 Vintage delave linen fabric wholesale products are most popular in Domestic Market, North America, and Eastern Asia.